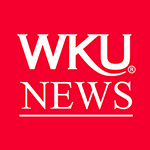 WKU’s sustainability efforts have earned the school recognition in The Princeton Review’s Guide to 286 Green Colleges. 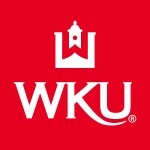 WKU joins Berea and Centre as the only Kentucky schools among the 286 listed in the Princeton Review’s first comprehensive guidebook solely focused on institutions of higher education who have demonstrated an above average commitment to sustainability in terms of campus infrastructure, activities and initiatives. The guide, produced in partnership with the U.S. Green Building Council (USGBC), doesn’t rank the colleges 1 to 286, but looks at an institution’s commitment to building certification using USGBC’s LEED green building certification program; environmental literacy programs; formal sustainability committees; use of renewable energy resources; recycling and conservation programs, and much more, according to a news release about the project. Among the guide’s “Green Highlights” for WKU are the hiring of a sustainability coordinator, the efforts by GreenToppers to promote sustainability, a biofuel facility to convert cooking oil waste into biofuel, a campus energy policy, a three-week winter shutdown and the construction of a LEED-certified building for the College of Education and Behavioral Sciences.